Espey is a recognized industry leader of power conversion, magnetics, and build-to-print products, and dynamic lifecycle management services that support the demands of the defense and industrial markets. We couple our vertical manufacturing capabilities with the agility of a small business, governed by large business disciplines. 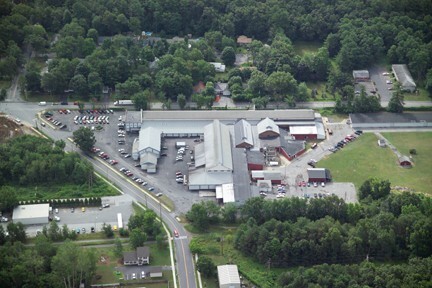 All design, manufacturing, and testing are performed in our 150,000+ square foot facility located at 233 Ballston Ave, Saratoga Springs, New York. Espey is a small business that is ISO AS9100 certified and publicly traded on NYSE Amex (ESP). Espey was founded in 1928 and continues to be successful through the design and manufacture of new and improved products by using cutting-edge and emerging technologies. Espey services include design and development to specification, build to print, design services, design studies, environmental testing services, metal fabrication, painting services, and development of automatic testing equipment. Espey’s manufacturing is vertically integrated and will produce individual components (including inductors), populate printed circuit boards, fabricate metalwork, paint, wire, qualify, and fully test items in-house; mechanically, electrically and environmentally. Espey’s primary products are power supplies, power converters, filters, power transformers, magnetic components, power distribution equipment, ups systems, antennas, and high power radar systems. The applications of these products include AC and DC locomotives, shipboard power, shipboard radar, airborne power, ground-based radar, and ground mobile power. Espey is on the eligible list of contractors on the United States Department of Defense and generally is automatically solicited by such agencies for procurement needs falling within the major classes of products produced by the company. Espey contracts with the Federal Government under cage code 20950 as Espey Mfg. 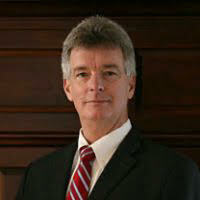 & Electronics Corp.
Patrick “Pat” Enright Jr. joined Espey as its CEO in February of 2015. Pat’s broad experience in power conversion, distribution and advanced power management systems coupled with his 30+ years’ experience in the defense and military market makes him well suited to take the helm of Espey’s future growth and expansion. Pat comes to Espey with a proven track record of success in growth and solid P/L management as well as being very adept at strategic planning, development, and execution. Pat is the developer and leading advocate for Espey’s C.A.R.E. “Customer Advocacy / Reliable Execution”. Pat has a keen understanding of the interrelationship between people, processes, and operations in dealing with complex business environments, partnerships, and alliances within the global marketplace. Espey has continued to design, develop and manufacture innovative industrial and defense electronic solutions, since 1928. Espey manufactures and supports magnetic components and power conversion electronics for many military and long-running programs including C-130 Aircraft, High Voltage Radar Power Supplies and Subsystems for NAVY E2C Hawkeye, Power Supply Subsystems and full Transmitter Rack Systems for NATO Early Warning and NAVY Fire Control Radar Systems, Magnetic Components and High Power Transformers for Air, Sea and Ground Radar Systems, Power Supplies for Locomotives, Power Supplies for Electronic Warfare, and Vision Systems/Target Acquisition Systems, Low Noise Transformers for NAVY Submarines, Miniature High Voltage Power Supplies for Missile Guidance, UPS Power Supply with Load Shedding Control and Communications System for MX777 Lightweight Howitzer Digital Control. Espey is actively involved in many current programs including 3-Phase Power Distribution for NAVY LCS, Aircraft Support Power Supplies for NAVY DDG1000, Transformers for Sea-Based and Land-Based Ballistic Radar Systems.